Since I mostly use nicknames for my friends and family featured in my blog, a Who’s Who might be in order… Just so I don’t always have to repeat myself! Adde or Andy is my husband since 2008, but we’ve been together since 2005. The love of my life and the best man I’ve ever met! My (little) brother called Wilderbeast is a football loving chiropractor. A great guy whom is really fun to hang out with. My Mom and My Dad called Mom and Dad. Currently they reside in Dubai but do come home to Sweden from time to time. My In-laws called In-Laws or Svärföräldrarna are great in-laws, a lovely couple and truly kind people, I felt like part of the family straight away. They live in East Ride and we visit with them quite a bit. My brother-in-law and family called Dr. SpiderPig and his wife M (who still hasn’t gotten a good nickname) and their kids ThAnikin and L’Yoda as well as a ”tummy” who still hasn’t been named. Hansson is actually Addes friend from the military. And now he’s a big part of our family, more like a brother than anything else. He’s our go to buy and we can rely on him with everything, and we do… I can’t even fathom the number of heavy and cumbersome items we’ve made him carry throughout the years. Bibbi and Ulf, my aunt and uncle who live in Uppsala and I’ve spent many a night with during my University years. My extra parents when I need them. Their Daughter and her boyfriend(Juristen.Fotbollaren)and their son (Globtrottern) and his girlfriend, my only cousins in Sweden. I love them all dearly but unfortunetly we don’t see each other very often. Ove and Lillis (my dads cousin and husband) are also a big part of our family and somewhat of my extra parents as well. 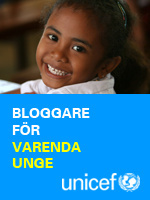 Hur kommer man i kontakt med bloggägaren? Man mejlar mail (a) karoleen.se.